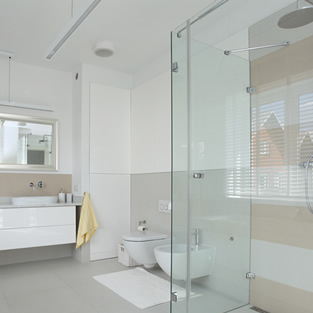 Transform the visual prowess of your bathroom while enjoying outstanding convenience and simplicity – quality Shower Screens Cheadle from All Glass and Glazing tick all the right boxes. All Glass and Glazing takes enormous pride in manufacturing bespoke glass shower screens in Cheadle to the exact specifications of our customers. Regardless of the size, shape or finish you’re looking for, we’ll work tirelessly on creating the products of your dreams for prices that simply cannot be beaten. The list goes on, but each entry further solidifies the universal appeal and value of contemporary glass shower screens Cheadle.